Whether a native Londoner, moving-in or just passing through, London – A City Through Time, developed by Heuristic Media and the Museum of London is the perfect companion. Probably the most advanced and complete portrait of London ever produced, it offers an indispensable reference to the 2000-year history of the world’s most complex city. It boasts over 6000 articles on the capital’s museums, statues, buildings, streets, trades, people, parks, rivers and more. Over 2000 rare prints and photographs, thirty-five video documentaries and clips from the archives of the Pathé movie library. Historic panoramas of the city from the 17th to the 19th centuries – all viewable as high-definition zoomable images, plus 70 gyro-controlled 360º views of the capital’s grandest sites. There are wonderfully detailed spinable artefacts from the Museum of London. It has audio tours to the haunts and hideaways of robbers and royalty from London’s official Blue Badge guides, and a unique history by tube stop section to let you know what’s above ground when your under it. Linking everything is a synchronised time-line to help navigate with unprecedented ease through every aspect of London’s deep and amazing history. 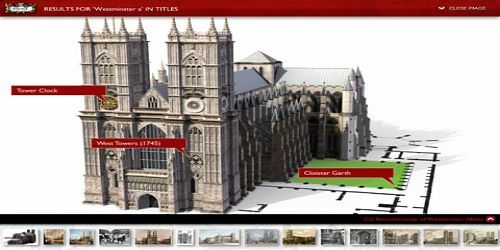 London: A City Through Time is neither coffee-table book nor guide nor map, but a nearly endless fusion of all three in a digital application, or “app”—nearly 2,000 years in the life of one of the world’s great cities. Even diehard Londoners are destined to discover something new.